2016 saw the introduction of the new blue uniform short worn by all year 7 students. 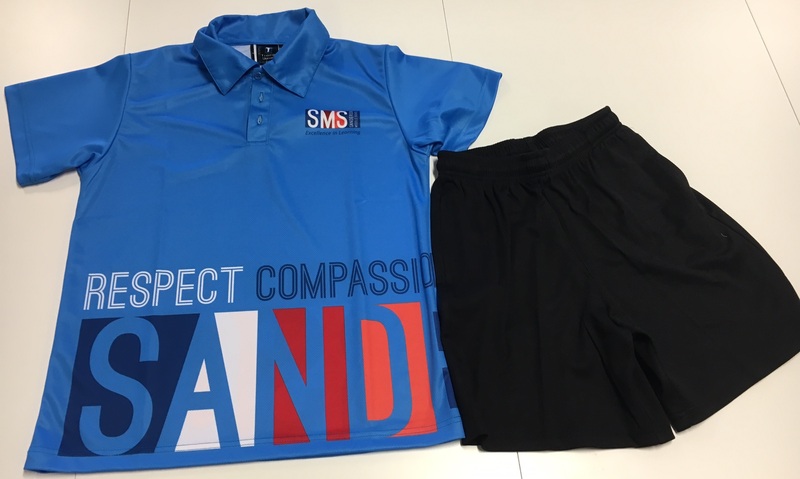 In 2017 all students at Sanderson Middle School are expected to wear the new blue school uniform. A blue uniform shirt with the school logo on it. Appropriate BLACK shorts, trousers or skirts. Shorts/skirts need to be longer than your fingertips when your arms are hanging by your sides. Enclosed footwear eg sneakers or runners. Uniform shirts are available to be purchased from the Bookroom.